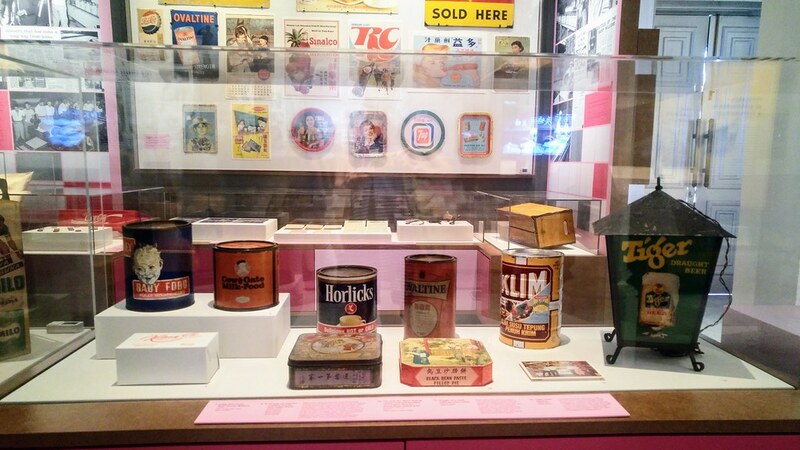 Knowing Singapore through Packaging Matters: Singapore's Food Packaging Story from the Early 20th Century. 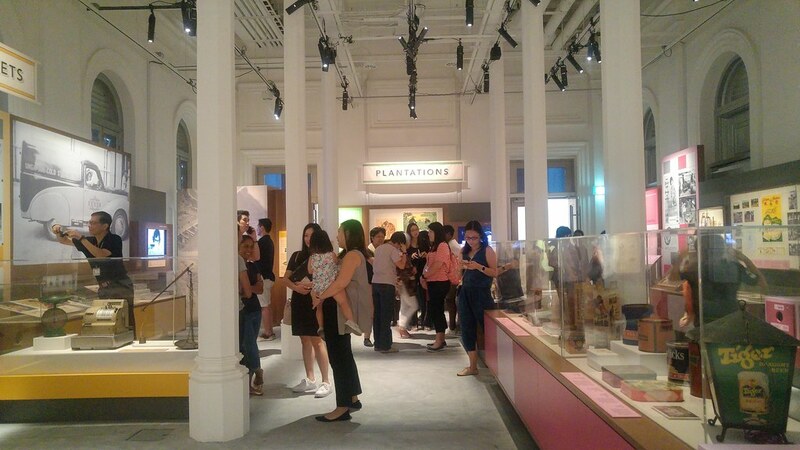 Presented by the National Museum of Singapore, this exhibition chronicles the development of food packaging in Singapore, from the early bottling and canning factories in the late 19th to early 20th centuries, to the light industries of the 1960s-70s when food was manufactured in factories. Am I surprised to discover that our canned pineapples were internationally sought after, especially in UK! 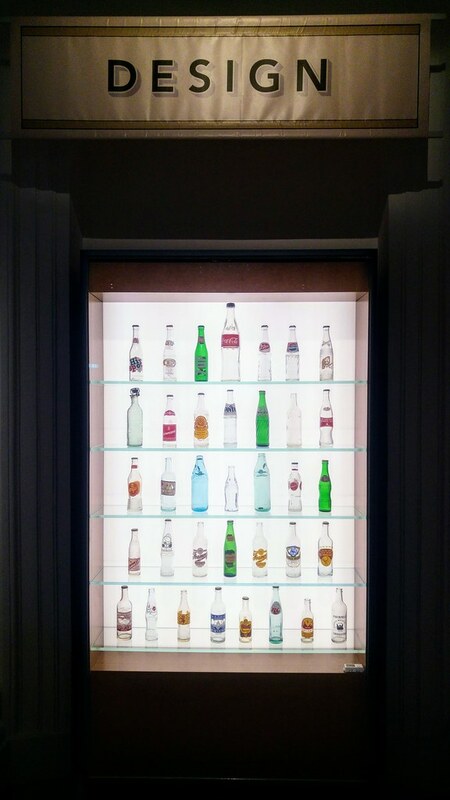 One of the exhibition highlights includes Packaging as Media where you will see the iconic Tiffany Glass Coca Cola Bottle in display. 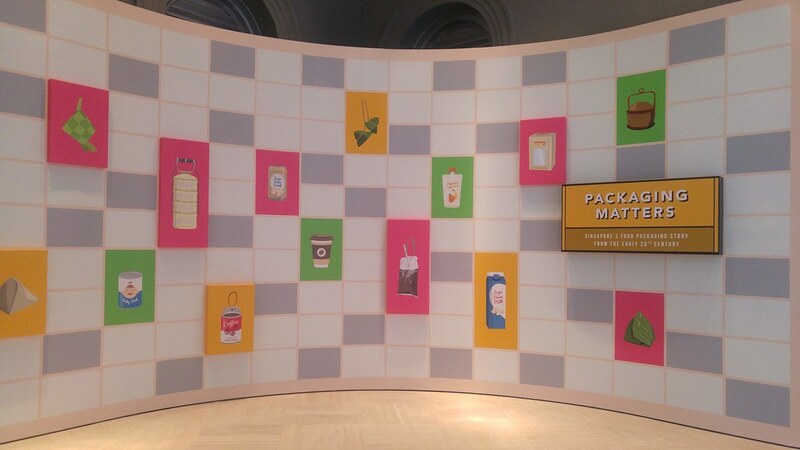 Using these containers as means of communicating their brands to the consumers, while mass produced, each container is distinctive in its own ways. 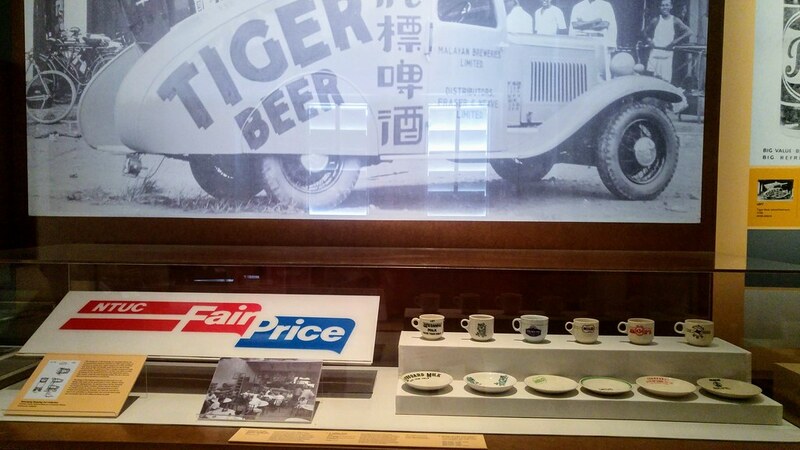 You will also see how packaging can influence consumer choice and how designs developed over the years, from simple illustrations to complex labels with realistic images, such as that of Khong Guan and Kickapoo, which stood out with their eye-catching colours and logos. One section that speaks to me is the Emergence of Supermarkets. 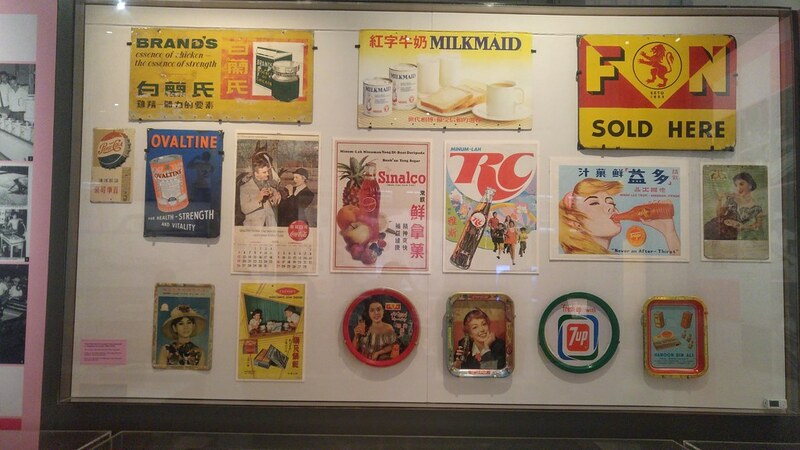 Cold Storage (1903) represents colonial modernity and affluence, it changed retail practices as it shifted from a grocer store to a supermarket in the late 1930s and even started a delivery system in 1935! Foods such as dairy, bread, frozen food and imported products were being introduced to our diets. 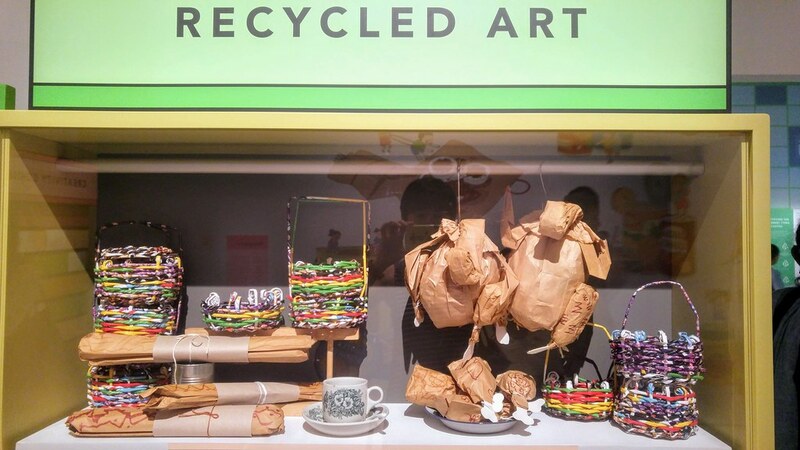 Towards the end of the exhibitions, you will find yourself at the Sustainability section, one of the biggest concerns in today's consumerism. 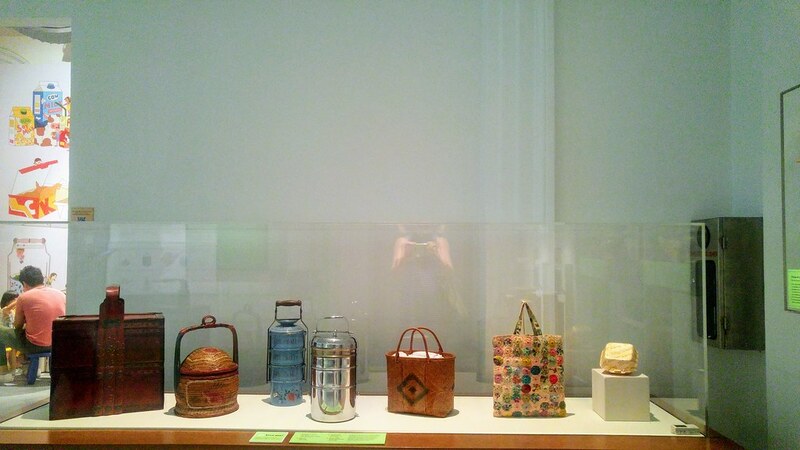 Discarded food packaging is the issue to tackle and this exhibition reminds us that what is considered innovative in the past, such as the single clam-shell container, is just as functional in our era. Tingkat isn't just for high tea display, is it? This exhibition is family friendly too. 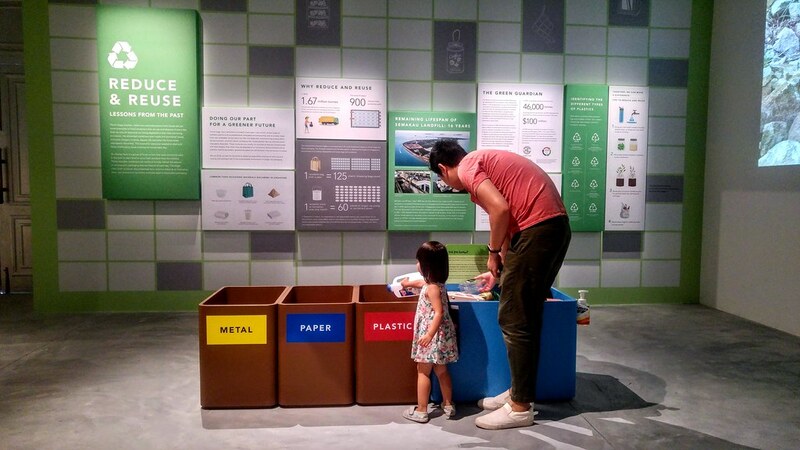 Kids can learn how to recycle the right materials in the Sustainability section. 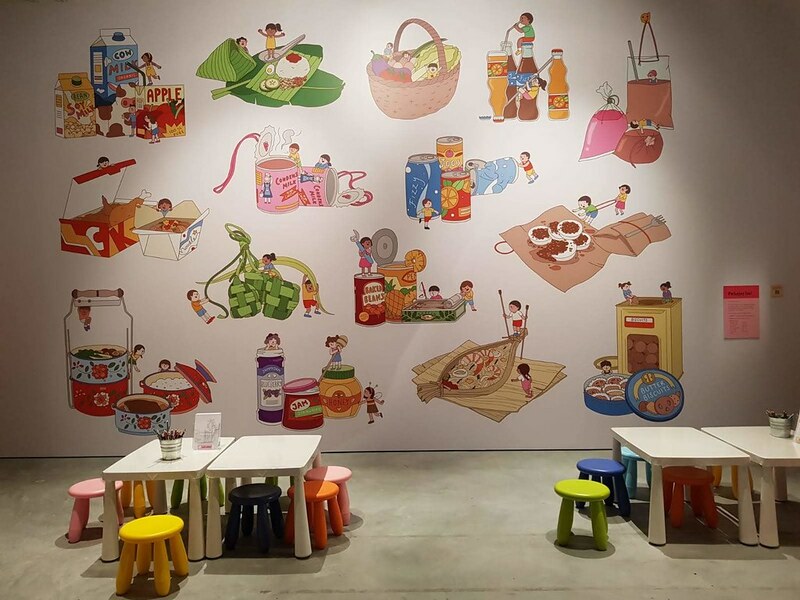 In the Family Corner, be awed by this adorable wall mural filled with various food packaging illustrated in creative ways. Appreciate the recycled crafts created by artists together with seniors from the Alzheimer's disease Association.